Broad-leaved Helleborine is common throughout its range and grows in dark woodlands, quite often appearing very close to well trodden paths. Coniferous and Beech woodland is particularly good for Epipactis helleborine. Less common are three very rare varieties of Broad-leaved Helleborine, the purple-flowered one Epipactis helleborine var. purpurea, the white-leaved variety Epipactis helleborine var. albifolia and this one, Epipactis helleborine var. viridiflora. 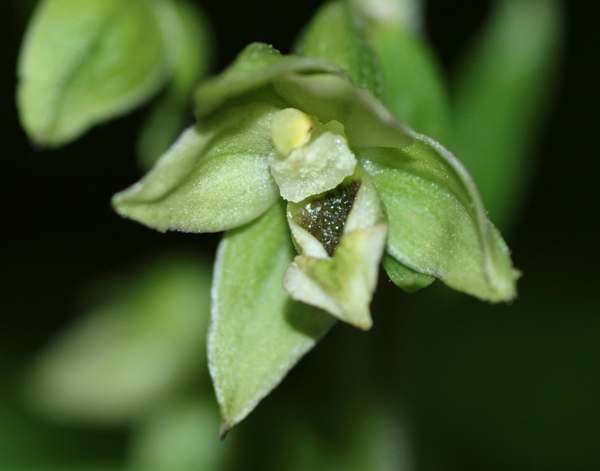 Epipactis helleborine var. viridiflora is difficult to identify accurately because it is frequently confused with other Epipactis species. As its name suggests, the small flowers are predominantly green and the deeply divided lip surrounds a dark olive-green hypochile. The plants shown on this page were found at Marford, near Wrexham in North Wales. 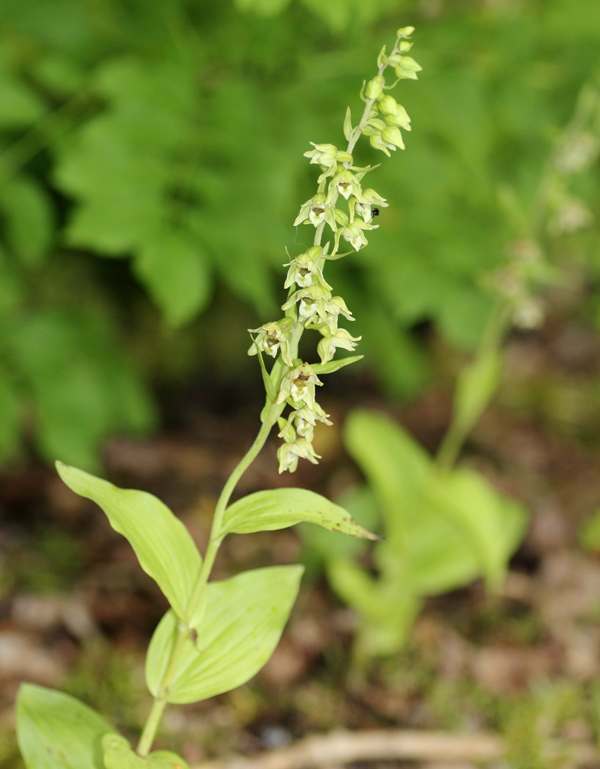 The specimens on the page were found in shaded areas of mixed deciduous and coniferous woodland among populations of Broad-leaved Helleborine Epipactis helleborine. July and August are the best time to search for this confusing plant.